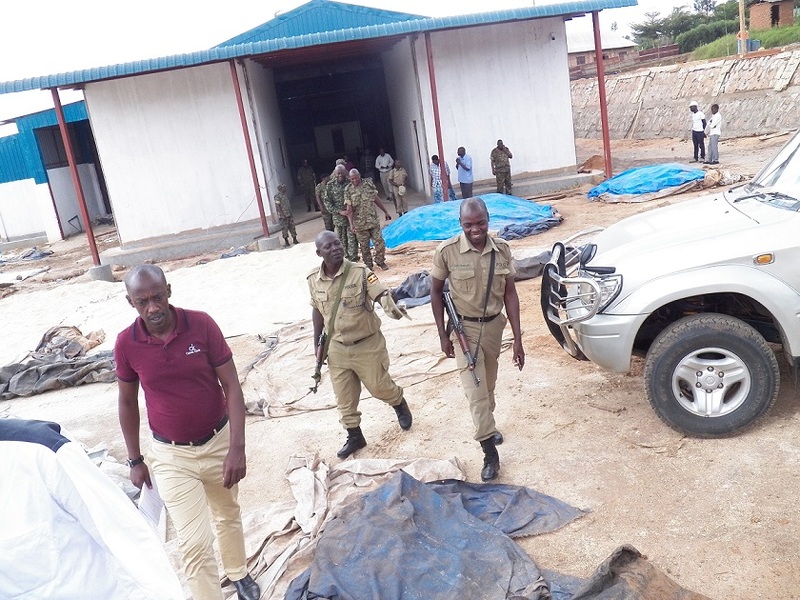 Rwabulindole promised the team that he was going to ensure that cassava processing plant is established in his farm so that it becomes a collection center before it is exported which will cause an increase in its prices. The team also visited a maize processing plant at Kakinga in Ishongororo town council to assess the impact of value addition at the facility. Mr. Lucky- one of the project proprietors requested the team to employ all the means possible to ensure that the price of maize increases to encourage farmers to grow more maize. Kakinga millers processes over 10 tonnes of maize a day and according to Lucky, the facility employs over 100 youth who have degrees, diploma and certificate. The District Production and Marketing Officer, Mr. Zephrine called on farmers in the district to do their part as the Government also does its part of providing inputs to them. 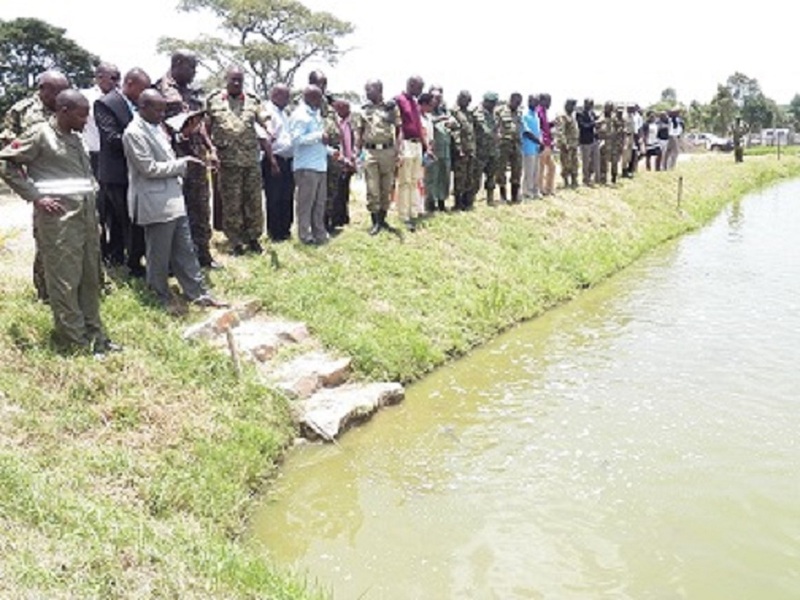 Ankole Region OWC Coordinators inspecting fish farming in Bisheshe Division. Photo by Sylas Byaruhanga. Hon. 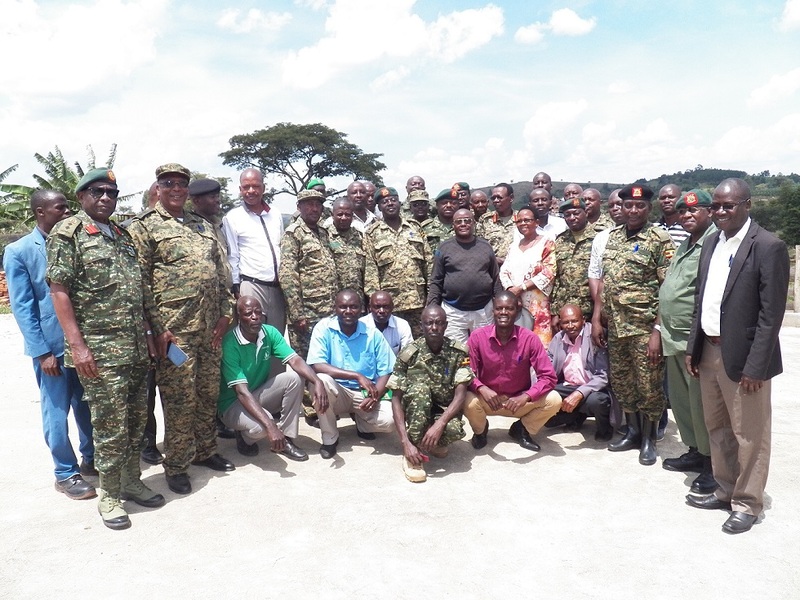 Rwabulindole MP Ibanda Municipality with a team of regional OWC Coordinators inspecting a coffee plantation on 21st September 2018. Photo by Sylas Byaruhanga.